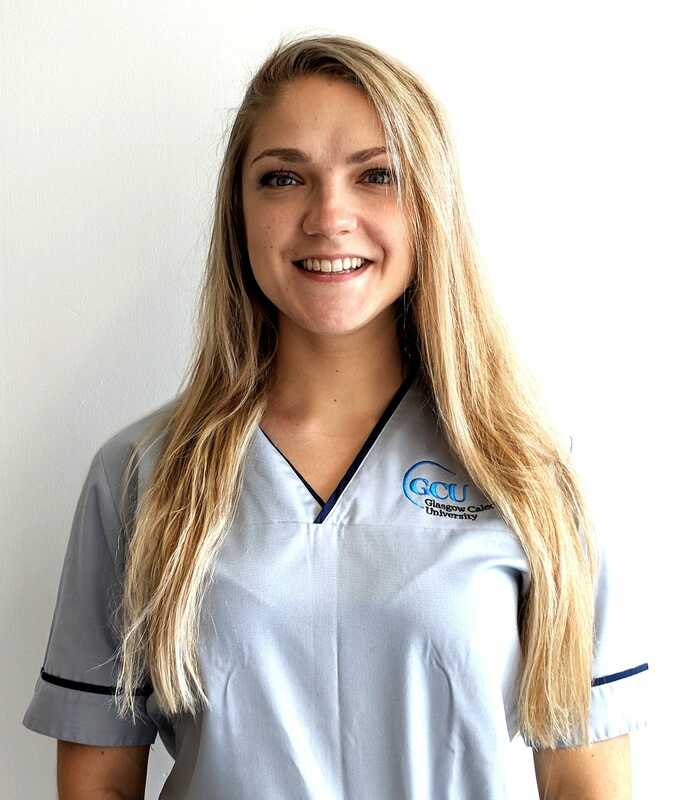 Margaryta Bazelchuk, a Level 3 BSc Podiatry student at Glasgow Caledonian, was the proud winner of the Cosyfeet Podiatry Award 2018. Her objective was to help one of the most vulnerable groups in society, whilst at the same time improving student exposure to patients within the homeless environment. Following her win, Margaryta sought the expert guidance of the Greater Glasgow and Clyde Homeless and Asylum Services Podiatrist on how best her £1000 award money could be utilised. 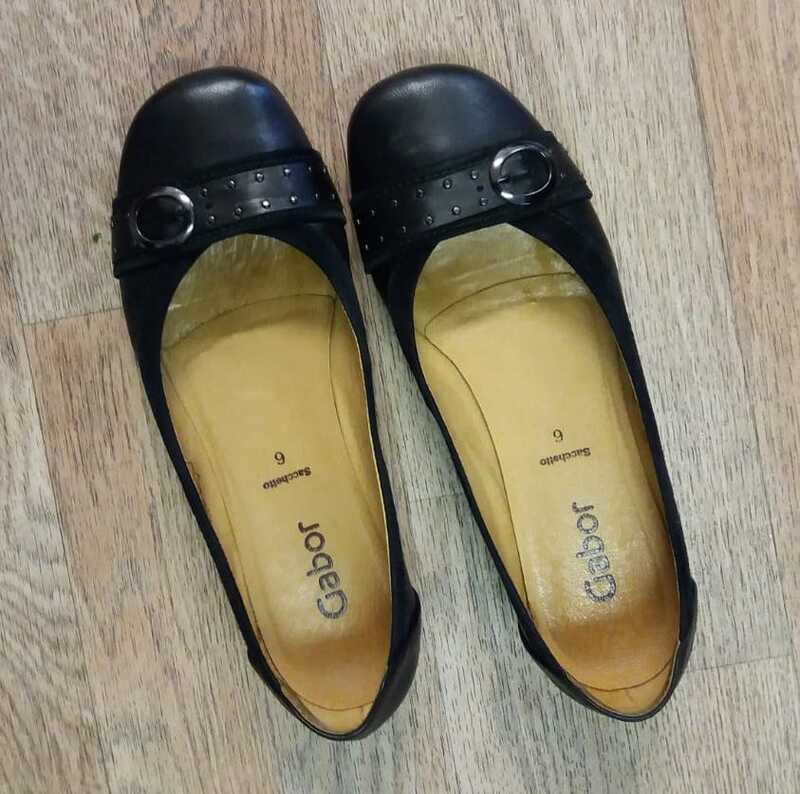 As a result, it was agreed it should be used to carry out a footwear assessment project focussing on homeless service users in the Glasgow area. This provided Margaryta and her peers with the opportunity to work in partnership with the NHS and the third sector in helping homeless people. Here Margaryta reports on the project. Although there are many well developed services already on offer to the homeless people of Glasgow, this is the first time that a footwear assessment project has been carried out among the city’s homeless. It’s been very exciting to be a part of that and help to address an acute area of need. 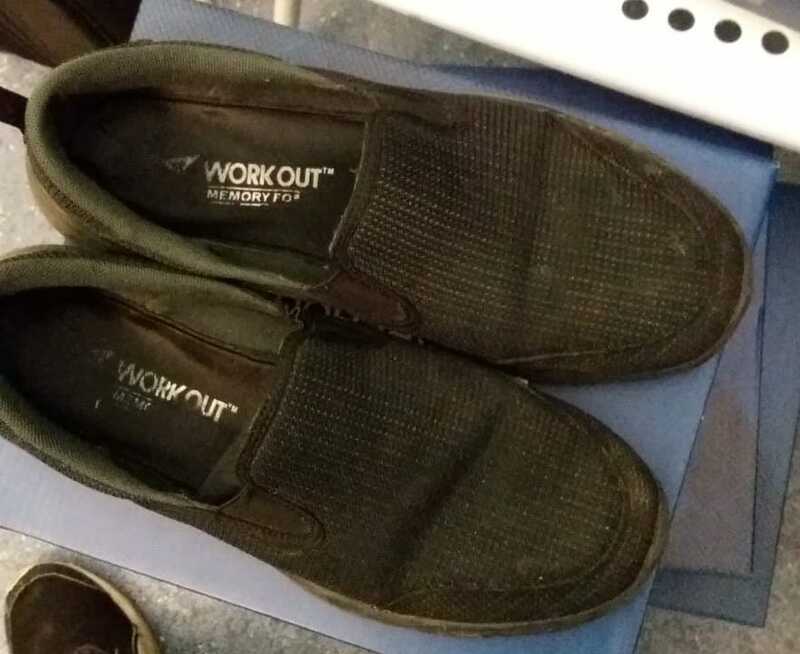 Many homeless people own footwear that is not conducive to optimum foot health and wellbeing, especially considering the challenges they face. The £1000 award was used to buy footwear for distribution to those in dire need. Throughout this project I have worked under the guidance of David Hurrell, Specialist Podiatrist within the Homeless and Asylum Service in Greater Glasgow and Clyde. 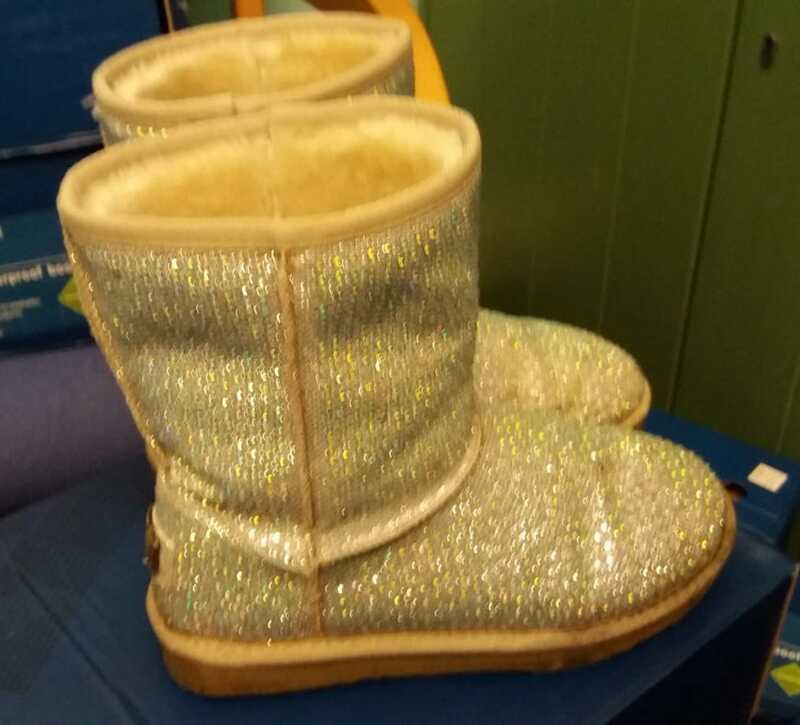 The idea of the footwear project was first suggested by David following his discussions with Ann Forsyth, Head of Homeless and Asylum Services and David Wylie, Head of Podiatry for Greater Glasgow and Clyde. David Wylie agreed to donate a further £1000 towards the project on behalf of Greater Glasgow and Clyde Podiatry Department, so there was now £2000 to be used to provide replacement footwear. With this substantial funding in place it was time to get the project moving. Within the homeless and asylum environment there is a big problem of non-engagement with services. The footwear project offered an incentive for people to attend and benefit from the assistance on offer. Using existing links engineered by NHS Greater Glasgow and Clyde Podiatry, discussions took place with the Lodging House Mission and the SIMON Community. It was anticipated that these two locations would be an ideal place to carry out the project. During the winter months the mission hosts the winter night shelter, which provides street sleepers with a place to stay out of the wet and cold. It also provides an opportunity for those who would otherwise be sleeping on the streets to access support from many agencies which can offer support, e.g. the Casework Team, Hunter Street Health Services, the SIMON Community Street Team and Govan Law Centre. All these services are present in the early morning to offer people support and guidance, providing an extremely valuable resource. The SIMON Community HUB is also an ideal place to access the most vulnerable patients within the city. The HUB offers advice and hosts the Street Team, who are patrolling the streets on a daily basis, encouraging and helping individuals facing complex needs. Furthermore, it offers the homeless and asylum population a safe space where they can collect mail and any other correspondence gathered there. Given the close proximity of the Lodging House Mission and the Simon Community Hub to Hunter Street Homeless Health Centre, we were also able to engage with service users at Hunter Street on clinic days. We had reached an agreement with Mountain Warehouse in relation to how we could get the most for our money. They agreed to provide 83 pairs of quality winter boots which were given to us at a discounted rate, allowing more footwear to be purchased. I then had to arrange support from the student body and appealed to those with an interest in helping to volunteer their time and take part in the clinics. As students we were not expected to carry out any treatment on the patients, but we could offer footwear and foot care advice and we also identified any patients who were in need of podiatry input. David, who was present throughout the project, was able to either provide treatment on the day or arrange to see the patients within the next week. The project began on January 23rd and we arrived at Lodging House Mission at 7.30am to engage with patients who had stayed there the night before. Arriving early decreased the likelihood that anyone had left the night shelter before we got there. On our arrival the recorded temperature was -7°C. The night shelter was busy and there were several people waiting to get in who had not accessed the night shelter the previous evening. These people had spent the night sleeping on the streets. The assessment process began and the vast majority of patients who accessed were in need of new or appropriate footwear, particularly given the temperature and the weather conditions outside. We then moved on to the SIMON Community HUB where we accessed more patients who were regularly sleeping on the streets. Again, we saw many people with complex needs who required podiatry input. This was also a good opportunity to hear some people’s stories and gain an understanding of the many factors that contribute to homelessness. Some footwear was also distributed at Hunter Street when patients were attending other clinics. Throughout the project we came across numerous patients requiring urgent podiatry input. We were able to observe the treatment offered to them and appreciate the holistic approach necessary for their care and wellbeing. This was a valuable learning experience, providing an insight into the vast internal and external barriers that this patient group face on a daily basis. A 49-year-old male presenting with a complaint of pain from his foot. He had a long history of repeat homelessness, non-engagement, mental health issues and drug use. He also had C.O.P.D., vascular intervention / complications, hepatitis C and a history of brain injury. On examination, the patient had a corn over his L5th digit and signs of blistering over the posterior aspect of the calcaneus. These were being caused by ill-fitting footwear. The corn was reduced to reveal underlying ulceration and this was dressed, as was the blistering on the posterior aspect of the calcaneus. The patient was given advice, new footwear and an arrangement was made to meet with the podiatrist the following week. A 36-year-old, type 2 diabetic, HIV positive female with previous foot surgery due to trauma, L posterior calcaneus superficial opening over area. She had a long history of drug use and prison sentences and had been homeless for 16 months. The patient presented with trainers that were worn, wet and her socks were also wet. Debris was removed from the area and the area was dressed. New footwear and hosiery were given along with advice, and an arrangement was made which suited the patient to meet with the podiatrist the following week. A 46-year-old female with a history of alcohol-related peripheral neuropathy, liver cirrhosis due to alcohol consumption, Hepatitis C and C.O.P.D. The patient presented with her feet in a state of neglect, structural abnormality of B/F, heavy callous over both plantar aspect, pathological nails which were badly damaged and heavily involuted with heavy debris present down all sulci. She was found to be wearing completely inappropriate footwear for the time of year and in relation to the structure of her feet. Podiatry treatment was carried out, new footwear was given and advice to contact podiatry if any problems arose. I would like to thank Cosyfeet for providing me with the opportunity to gain more exposure to this vulnerable patient group, the students who volunteered their time to assist me, Greater Glasgow and Clyde Homeless and Asylum Service, The Simon Community and Lodging House Mission for providing me with the facility to work with them on this project. In addition to this I would like to thank David Wylie for his contribution of £1000 on behalf of Greater Glasgow and Clyde Podiatry Department, which allowed more vulnerable people to benefit from the project, and David Hurrell for his guidance and expertise throughout the project.